Nothing can stop you from being a Mom. But how will you get there? No, don’t “just relax,” just chill a little. 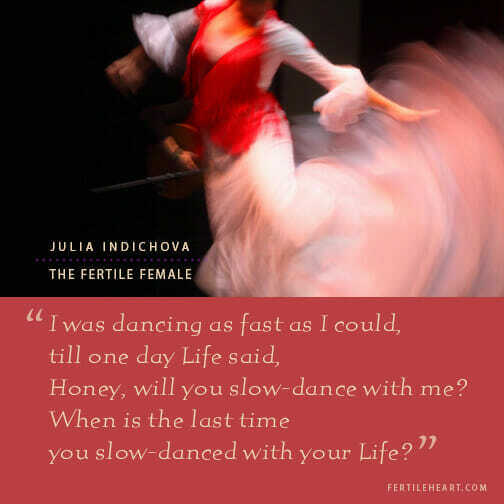 After 20 years of teaching the Fertile Heart workshops, this is what I know for sure: No matter what they told you, these are not the last 5 minutes you have to get pregnant. So, if you know that your desire to be a mom is non-negotiable, then nothing can stop you for getting to your destination. What I mean is, will you crawl, or will you dance? Will your path be a path of suffering or a path of self-discovery and healing? 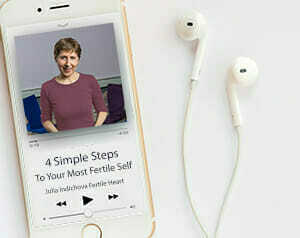 What would it feel like –to stop, deepen your breath just a tiny bit, and slowly read all 10 of these fertility tips? Do any of these tips make sense to me? Sticks and stones can hurt your bones but words can make you stop ovulating. Really! Words are powerful fertility drugs. Are you infertile or do you have difficulty conceiving Your body is listening to every word you say. If you don’t believe me, watch this little story. Symptoms are not a punishment. How else is your wise body going to get your attention? Read and watch uplifting stories of others who turned their infertility into a life-changing opportunity to heal and birth the not-yet-born aspects of their own nature. Take note of any painful beliefs and images you may have about motherhood. Learn about the powerful mind-body tools that can transform such feelings into a source of strength and healing. Digestion is hard work. Make it easier on your body and it will reward you with more energy available to balance hormone levels and nourish a baby. Exposure to synthetic estrogens in pesticides is toxic and confusing to your endocrine glands. This should be a a no-brainer, but so many of us still spend thousands on IVF but scrimp when it comes to choosing clean food and clean eateries. Check out the Fertile Heart Organic Fertility Food Guide for the most important fertility foods to buy organic. such as bread and baked goods. 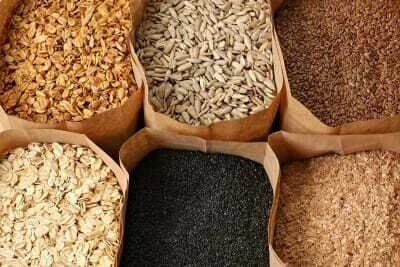 Incorporate whole grains: brown rice, quinoa, millet and buckwheat. The fiber in these fertility foods promotes the excretion of toxins from your body. Be sure to soak grains for easier digestion. They burden the liver and kidneys, two of the main organs responsible for sweeping out excess estrogen and keeping your hormones and immune system in balance. Yes, even one glass of wine a week has been linked to higher miscarriage rates. Creativity fosters creativity. If you’re stuck at work, or your relationships, maybe this baby can help you get unstuck even before he/she shows up.